You may not have automatic, four-legged grass fertilizers like we have. Horses are very useful. Now this is something Her Royal Sheiky-ness (the horse, of course) and I have in common, although I have to admit she does a much BIGGER, I mean BETTER, job than I do. 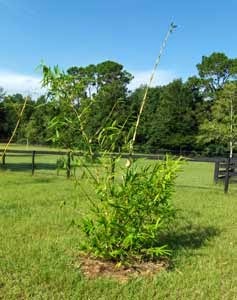 My specialty is trees - I try to fertilize every tree I encounter. So, from us experts, you'll learn everything you need to know about turf-lawn-pasture-hay fertilizing, safely organically, and eco-friendly. 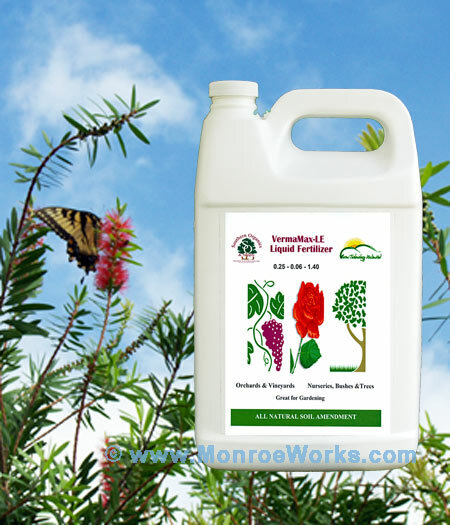 When Should Fertilizer be Applied to Lawn - Turf - Pasture? When you apply nitrogen in early Spring, it causes a surge of top growth, which will make the lawn look nice in the Spring, but will deplete the plant's energy reserves. 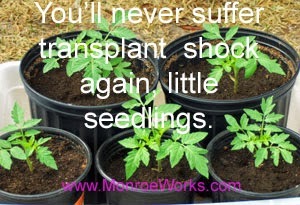 This weakening of the plant can lead to disease and an inability to handle Summer stresses. Nitrogen application in late August or early September (probably late September early October here in Central Florida) will provide the lawn with adequate nutrition to help it overcome any Summer stresses. An application of nitrogen in late October or early November (again, later for here) when top growth is less but soil temperatures are still warm enough for absorption, will keep the lawn growing and the grass will green-up early in the Spring without excessive growth. The energy stored in the plant (carbohydrate reserves) will remain higher during the Spring and Summer period thereby reducing Summer diseases. The lawn will stay greener longer in the Fall. Early greenup in the Spring without going crazy. Since we use Pure Black Castings® and VermaPlex® , we don't use any extra nitrogen. We leave the clippings from mowing, we don't cut for hay, and we only have one horse (although she eats quite a lot, but she does leave something of value behind). 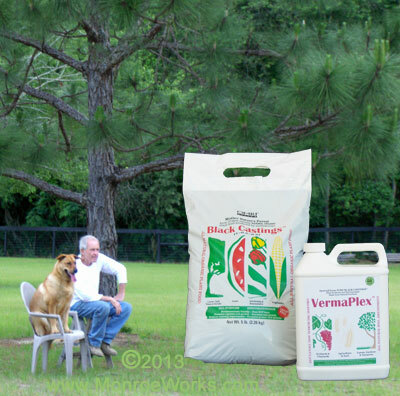 The recommendation for fertilizing with Pure Black Castings®/VermaPlex® is to cut the nitrogen use by at least 50%. If you are cutting hay, have heavy grazing, or are removing clippings, you will probably need to add this extra nitrogen. Preferable, it would be an organic source. 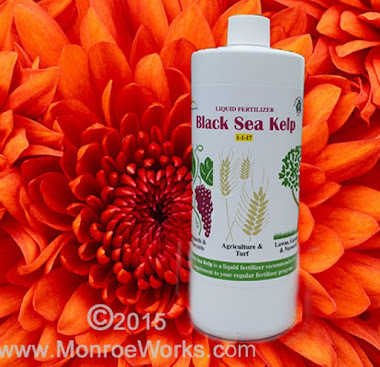 In the Fall, we applied a spray of VermaPlex®/Water mixture of 24 ounces VermaPlex® to 1 gallon water (per 1000 square feet). The following year, because we began with such sandy soil with little organic content, we repeated the above application regime. As we build up organic material, we can reduce the amount of Pure Black Castings® by half or more. 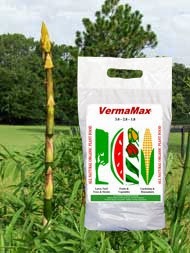 The VermaPlex® needs the organic content to work (that's what the little microbes munch on).